Attention Gaston County vegetarian residents! If you have been frustrated with the lack of vegetarian options at local restaurants, I feel your pain. I frequently dine with people who are non-vegetarian, who also do not have me in mind when picking a place to eat. 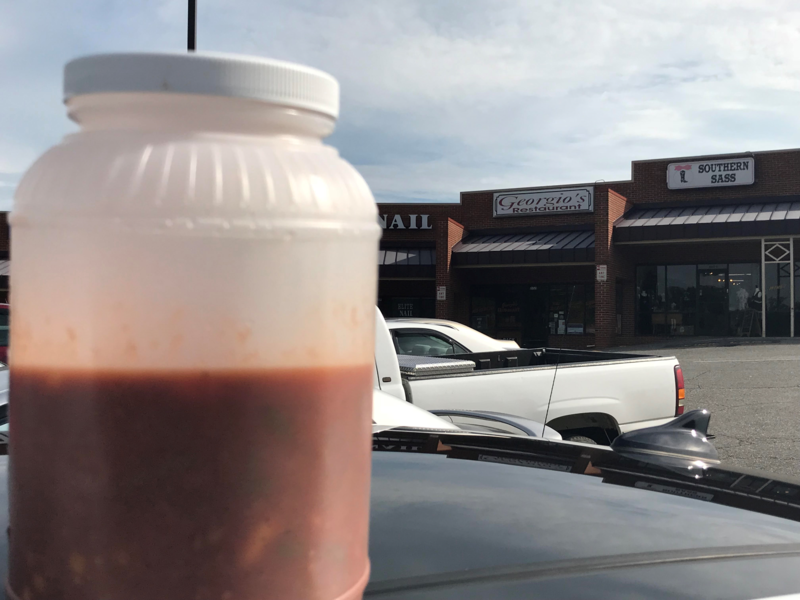 Thanks to my non-veggie friends and family, I have spotted out some surprising Gaston County vegetarian options. If the word “pub” only brings hamburgers to mind, think again. Mayworth’s is one of the best vegetarian places to eat in Cramerton, NC. You can almost always expect a crowd at this fun, pub-style atmosphere! I have been for brunch, dinner and drinks and always enjoy the food. Plus, choose from a ton of options. Karaoke night is a blast too! 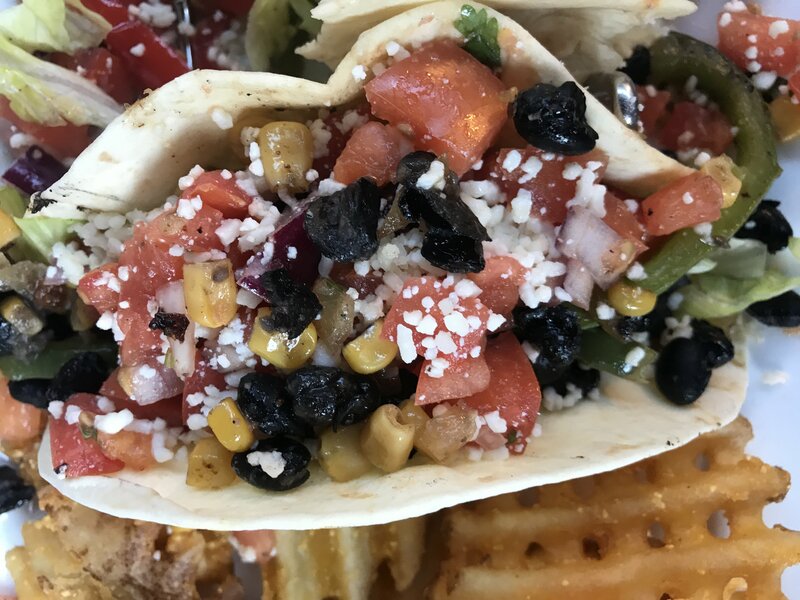 What to Order: Veggie Tacos are my go-to because they are insanely delicious, but there are other options as well. A create-your-own salad with tons of topping options is available, including black bean burger, avocados, diced egg and more. Vegetarian appetizers include hummus and vegetables, pimento cheese dip, chips and queso and pretzels and queso. 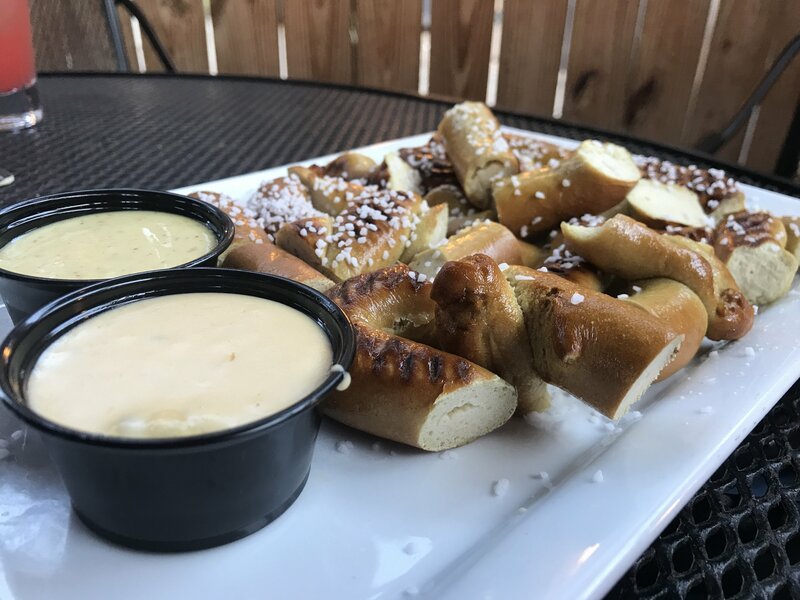 I love the pretzel and queso! There are even a nice selection of sides to choose from such as sweet potato fries, saffron rice and Parmesan, stone-ground grits. YUM! 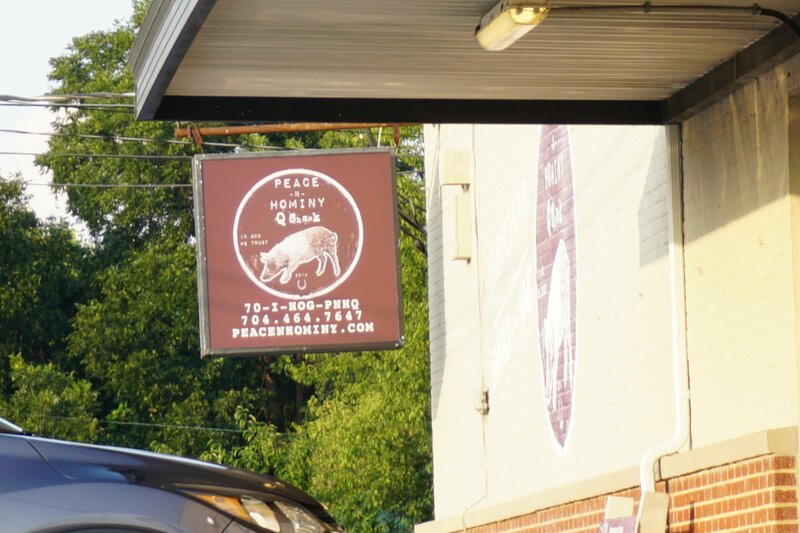 Don’t fear this popular Belmont BBQ joint if you can dine on Sunday mornings! Believe it or not, brunch offers incredible vegetarian options if you like Mexican food. What to Order: My favorite day to go here is actually on Sundays because they have a delicious brunch with vegetarian options! My husband gets the barbecue plate but I get several of the breakfast tacos with scrambled eggs, cheese, pico and more! A steakhouse can certainly be a frightening option for most vegetarians. However, Old Stone changed that fear in me. The secret to snagging the most vegetarian options at Old Stone is eating during lunch hours. The lunch menu offers many more vegetarian options than dinner, surprisingly! 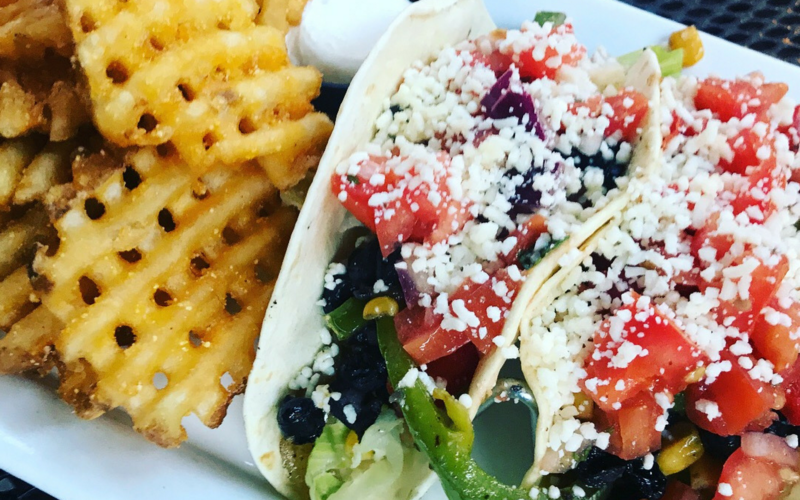 What to Order: Go at lunch and order the Mediterranean Veggie Hoagie, a Veggie Burger or several other delicious sandwich options. If you cannot go during lunch, order the Baby Arugula and Kale salad minus the bacon…it is one of my favorite salads! 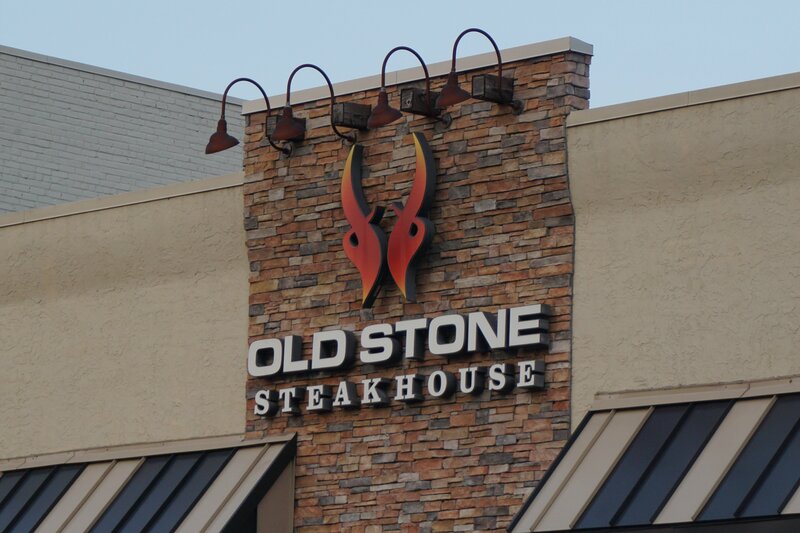 Please note, the menu on the Old Stone Steakhouse website is not the full menu. The closest to a full menu is Yelp, but there are actually a few additional options on the lunch menu at the restaurant. 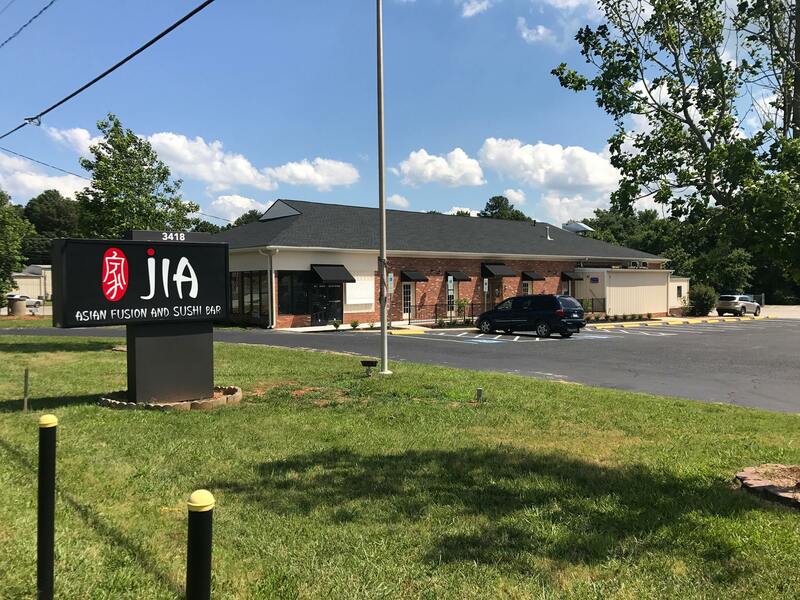 While Jia may not be as much of an “unexpected” option as the other restaurants mentioned in this post, Jia is certainly one of the most accomodating. Plus, the food is delicious and there is a HUGE menu for non-veggie eaters too. 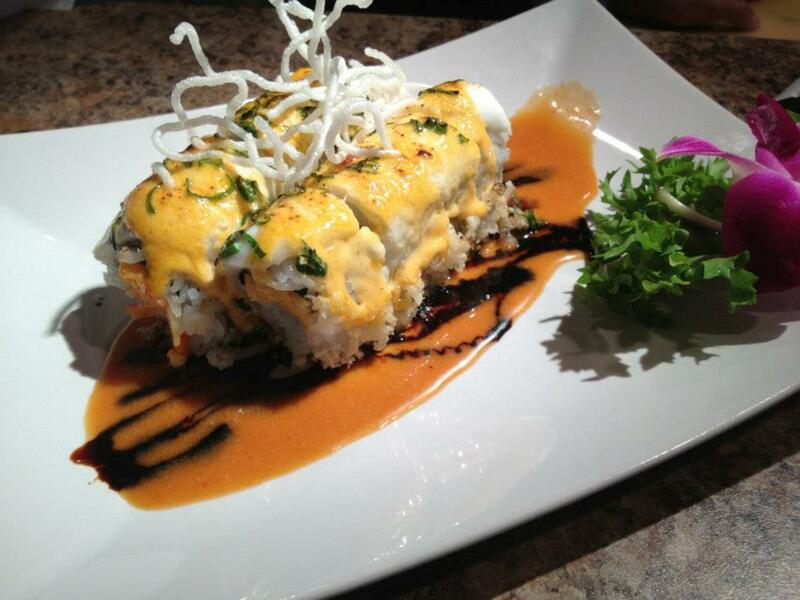 I am not a fan of sushi, but there are tons of sushi options as well. If you enjoy a drink with your meal, wine and beer are available too. What to Order: Anything here can be replaced with tofu! Or so I have been told each time I have dined. Since I occasionally miss Sesame Chicken, I tend to order Sesame Tofu instead. Georgios is a Greek owned ( = delicious!) restaurant that specializes in home cooking. They also have a menu size that rivals the Cheesecake Factory. From country cooking to pasta, just about anyone can find something to eat here! What to Order: Go on a Monday, Wednesday or Friday and order the Vegetable Soup. Even better, order a half gallon and pay just around $7 for a HUGE container! This soup is some of the best vegetarian soup I’ve ever tasted. There is a bit of a peppery kick to it, too, making it perfect for clearing up allergies! What are your favorite Gaston County vegetarian options? If you are trying to cut down on your carbs, breakfast can be a bit of a nightmare when you’re a veggy. I totally agree, Vicky! It seems like pancakes, potatoes or nothing for vegetarians at most places:/. Sometimes I grab Taco Bell when I remember they have breakfast and do the skillet bowl without potatoes and Groovy Beast has a great Veggie Bowl for breakfast. I do wish there were more than a couple of low-carb options!